The Spanish Greyhound, is a sighthound created to course rabbit and hare, but these days he is primarily a companion dog who is rarely seen outside of Spain. The Spanish greyhound, or galgo, is one of the most persecuted dog breeds. Galgos are used to hunt hares in the Spanish countryside. They spend their lives in damp, tiny, dirty holes or windowless shacks deprived of daylight, exercise and affection. They are typically fed only water and stale bread. At the end of the hunting season, countless are disposed of or abandoned. Sadly, the galgo's native land still views it as a second-class animal and few Spaniards will own them as pets. They are bred carelessly and used for hunting by galgueros. At the end of the hunting season in Spain, the galgos deemed worthless or too costly to maintain are destroyed in a variety of inhumane ways — including being hanged, dumped into abandoned wells, shot, and even burned to death. The lucky ones are rescued by a handful of shelters in Spain, operated by dedicated individuals. Almost all of the resources to help the dogs come from outside of Spain, namely the US, UK, Belgium, Denmark, France, Holland and Germany. 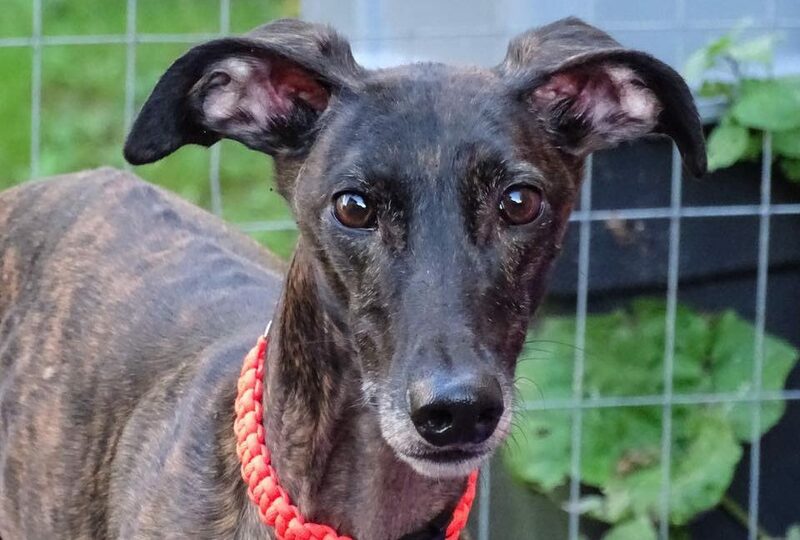 The speedy Galgo Español was bred to course rabbit and hare. The Galgo’s smooth or wiry coat can be any color, but is usually seen in brindle, fawn, red or black, with or without white markings. Unlike the Greyhound, which is more of a sprinter, the Galgo is built to run long distances over rugged terrain. His hare feet are suited to taking him safely over uneven ground. The Galgo Espanol is a generally healthy breed. 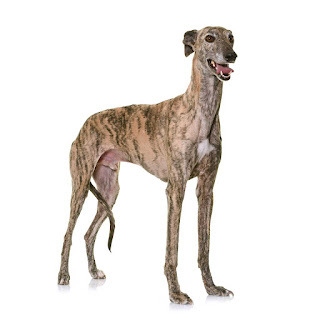 Sighthounds in general have a tendency toward osteosarcoma (bone cancer). 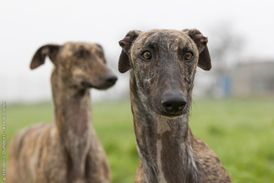 The Galgo is a rare breed in the United States, and puppies are not readily available. Sighthounds - dogs that hunt by sight - have existed since ancient times. Different types of sighthounds have developed in different countries depending on the terrain and quarry. 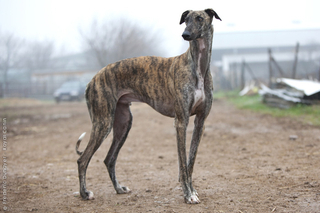 The Galgo is a Spanish sighthound created to course hare and rabbit. His name comes from the Latin “canis gallicus,” meaning Celtic dog. 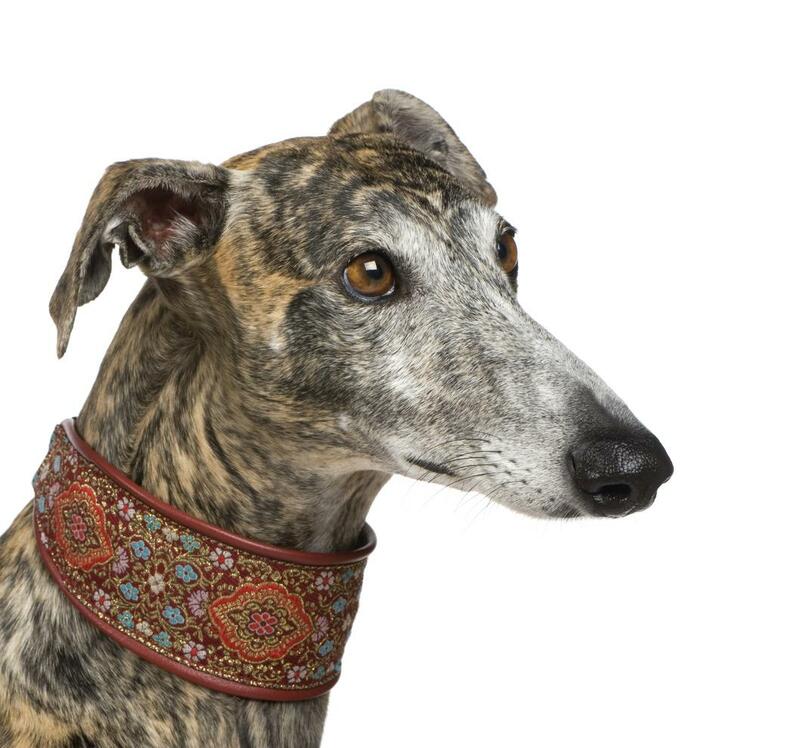 The Galgo probably descends from Greyhound-type dogs that were influenced by Salukis during the Moorish conquest of Spain. The Galgo is rare in the United States and is not recognized by the American Kennel Club or the United Kennel Club. The dogs may participate in lure coursing events through the American Sighthound Field Association. Galgos have a very similar nature to Greyhounds. They are calm, quiet, gentle and laid back; happy to sleep their day away on their backs on a sofa. More than 90% of Galgos can be considered cat-friendly and are therefore an ideal choice for the hound lover who also owns cats. Almost all Galgos are also friendly towards other dogs and small dogs. Galgos are also very good with children, being calm in the house so there is less risk of a child being knocked over or jumped on than with a more excitable breed. They are very gentle and tolerate the often over-enthusiastic attentions of children with little risk of retaliation from the dog. Galgos have a very reserved personality and they have a tendency towards shyness, so it is very important that they be socialized early in life so that they grow up to be comfortable around strange people, dogs and locations. 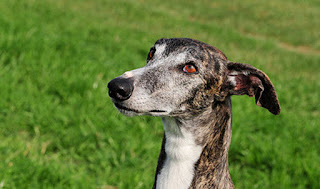 Like many other sighthounds, Galgos are a fairly healthy breed although they are sensitive to anaesthesia. As such, proper care should be taken by the owner to ensure that the attending veterinarian is aware of this issue. 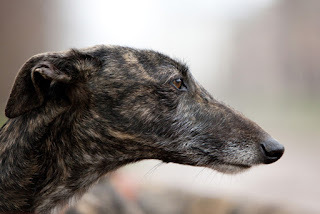 Although Galgos are big dogs, their history of selection as a working sighthound, their light weight, and their anatomy keep them safe from hip dysplasia. These dogs must run regularly to keep in perfect health, combined with their characteristic tendency to sleep all the rest of the day. The Spanish Greyhound will do okay in an apartment if it gets enough exercise. It is relatively inactive indoors and a small yard will do. Greyhounds are sensitive to the cold but do well in cold climates as long as they wear a coat outside. Do not let this dog off the leash unless in a safe area. They have a strong chase instinct and if they spot an animal such as a rabbit they just might take off. They are so fast you will not be able to catch them. This breed needs to be taken on a daily long walk or jog, where the dog is made to heel beside or behind the person holding the lead, as instinct tells a dog the leader leads the way, and that leader needs to be the human. The Galgo is easy to maintain. Weekly brushing of his smooth, shorthaired coat with a hound mitt or rubber curry brush is all he needs to stay clean and in good condition. Give him the occasional bath with a dog shampoo if he rolls in something stinky. The wirehaired Galgo is also easy to groom, although his beard, mustache, and eyebrows may need some additional combing. The rest is basic care. Trim the nails as needed, usually every few weeks. Like most sighthounds, Galgos are sensitive about having their feet handled, so practice this early on with a puppy and be sure you never hurt him when you are touching his feet. He’ll never forget it. Keep the ears clean and dry to prevent bacterial or yeast infections from taking hold. Brush the teeth frequently with a vet-approvet pet toothpaste for good overall health and fresh breath. Is the Spanish Greyhound the Right Breed for you? Moderately Easy Training: The Spanish Greyhound is average when it comes to training. Results will come gradually. You might think that sighthounds are hyperactive because of their speed, but just the opposite is true. Give your Galgo a long walk or a good run every day, and he will be content to spend the rest of the time relaxing on your sofa or bed.